Important Note: In order to give everyone a chance to get on a tour, we are rolling out tour registration in two phases. Phase 1: Starts Friday, September 13th at Noon PST and ends on Monday, September 16th at Noon PST. Registered attendees are allowed to register for ONE tour. If you register for more than one tour, any registration after the first will be deleted. Phase 2: Registration will reopen on Tuesday, September 17th at Noon PST. You will then be allowed to register for additional tours on multiple days. 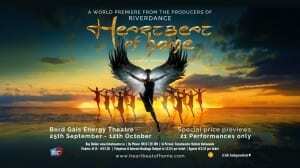 Created by the Producers and Director of Riverdance, Heartbeat of Home is a music and dance spectacular featuring the dynamic, vibrant components of traditional Irish, Latin and Afro-Cuban music and dance. The world-class cast of thirty-nine includes a ten-piece band creating a new and electrifying sound written by award-winning, Golden-Globe-nominated composer Brian Byrne. The World Premiere of Heartbeat of Home will take place at The Bord Gáis Energy Theatre Dublin on Wednesday 2nd October and will run for 21 performances only. The show employs high-definition, cutting-edge projection technology and has an engaging narrative structure. Produced by Moya Doherty, conceived and directed by John McColgan with lyrics and narration by award-winning Irish writer Joseph O’Connor. Joseph comments: ‘when we marry the sexiness of salsa to the thunder of Irish dance, the lyricism of tango to the yearning of sean-nós, what a night of storytelling we shall have’. With world-class dancers from Ireland, USA, Australia, Britain, Canada, Italy, Mexico and Spain and choreography by David Bolger, the production will create a dreamworld of joyous, heart-stopping, high-energy music and dance. Heartbeat of Home is scheduled to have its Asian premiere in Beijing immediately after its run in Dublin and will commence a North American tour in January 2014. *Image Copyright of Riverdance Productions Ltd. Welcome to Dublin’s tour of terror! The Lady in White, graveyard torturers and grizzly ends on church grounds… Allow us to put you at your unease on The Dublin Ghostbus Tour. A Gothic interior, blood red velvet curtains and a driver and guide in tune with the afterlife. This is no scary movie, folks – this is for real. It’s a little known fact that Dublin was home to one of horror fiction’s most famous names: Dracula author, Bram Stoker. Learn about his origins as the tour creeps through Dublin’s darkened streets. At the College of Surgeons, a certain Dr Clossey is still said to roam the corridors carrying a bucket of human entrails. More grizzly dealings were dealt at the 12th-century St Audeon’s Church, where the ghost of Darkey Kelly is said to wander restlessly. The Lady in White still stalks her cruel husband at St Patrick’s Cathedral graveyard. And steady yourself for a meeting with The Walking Gallows, the notorious judge, jury and hangman who dispatched his victims in gruesome style. Scared yet? Don’t worry, you will be. The tour may not suit people of a nervous disposition. Passengers should arrive 15 minutes before departure. 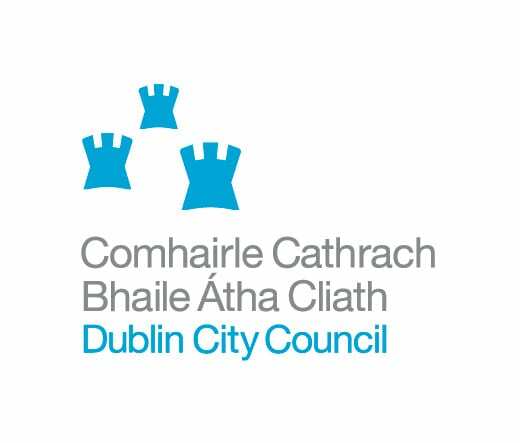 The Dublin Ghostbus Tour is not suitable for children under 14 years. 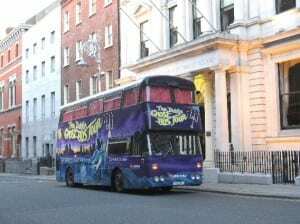 The Dublin Ghostbus Tour begins at Dublin Bus Headquarters at O’Connell Street. Whelan’s – Dublin’s original live music venue has been home to the best Irish and international acts for over 20 years. Situated in the heart of the bustling Village Quater of Wexford St & Camden St it also boasts Dublin’s best indie night club. The gig is SOLAR BEAR; It’s a bear weekened!!! 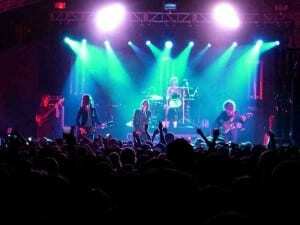 Electronic rock Irish band with big profile here. The gig: American folk singer Israel Nash has a unique vibe, 80-100 expected. TBEX Dublin Travel Blogger Passes SOLD OUT!!! 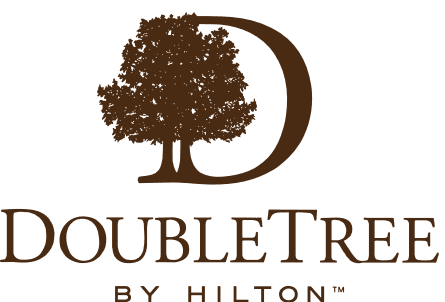 Sign up below to be placed on the waiting list and be notified early about future TBEX Events. A New Media Expo event © 2013 TBEX Europe. All rights reserved.